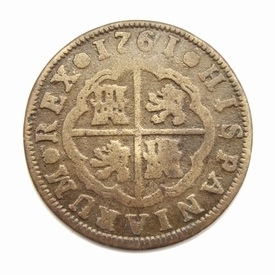 Spanish two reales, struck in 1761 at the Madrid mint. 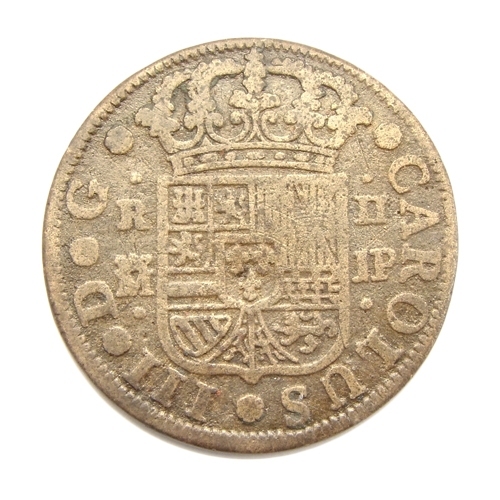 Obverse: Crowned Spanish arms divide R II (2 Reales) and M (Madrid mint) and PJ (Assayer); CAROLUS III D G around. 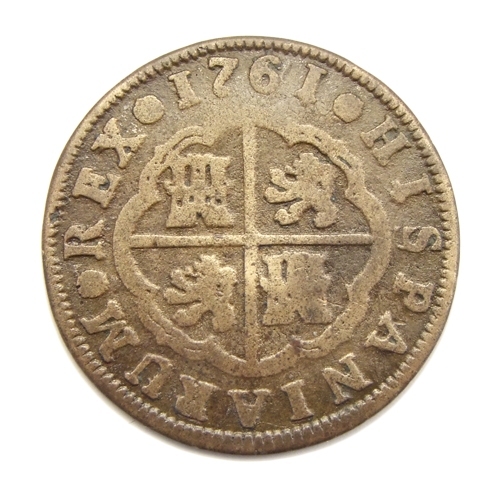 Reverse: Cross with castles and lions in quarters; HISPANIARUM REX 1761 around.